Competitors were also winning points for their school for the only team title on the day ‘2015 School Champions’, which was won this year by Mounts Bay Academy. 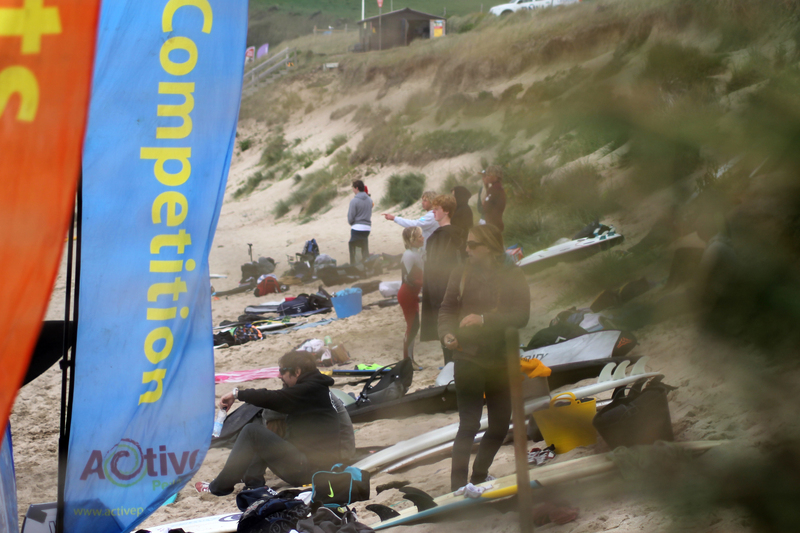 Sponsors of the competition Robie Robes, Down the Line Surf Shop, Tombstone Surf Shop & Faltown Skateboards kindly donated prizes for the finalists in each of the divisions. 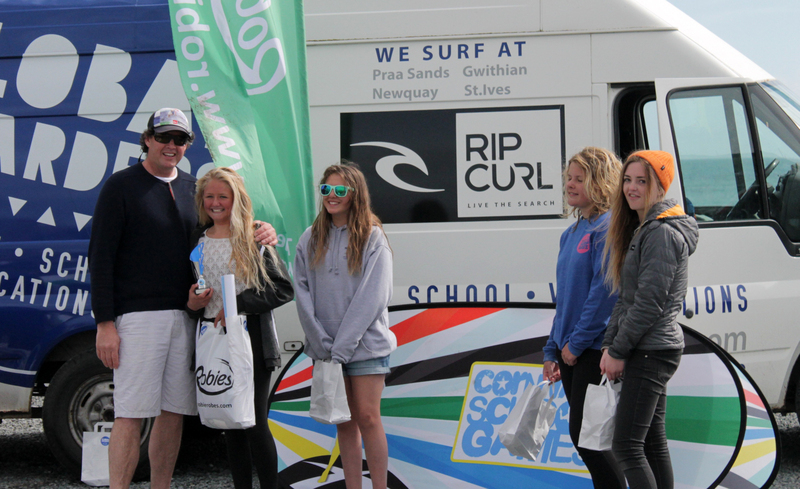 Finalists for the event also qualify for the Surf Competition held as part of the Cornwall School Games in June supported by the Cornwall Sports Partnership. Billy Carr and Harry De Roth shot by Gregg Martin who came down for the event representing the Cornishman Newspaper. Harry (16) promoting his sponsors well on his way to beating Leo Reeves ( 13, right) in the boys final. Ellie finding a long wall during the girls semi final heat, progressing as heat winner, and finishing 2nd in a nail biting final. Alfie Brown (right) dropping into a bomb on his way to second in the bodyboard final. 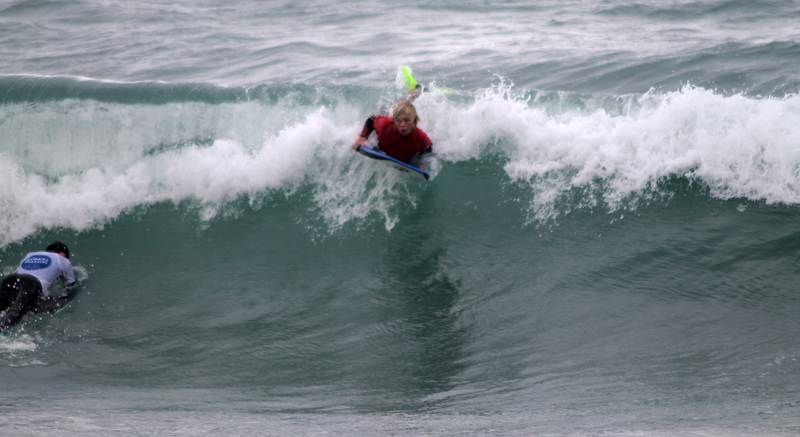 Stan Roynon finished an impressive 3rd in the bodyboard division for Mounts Bay. 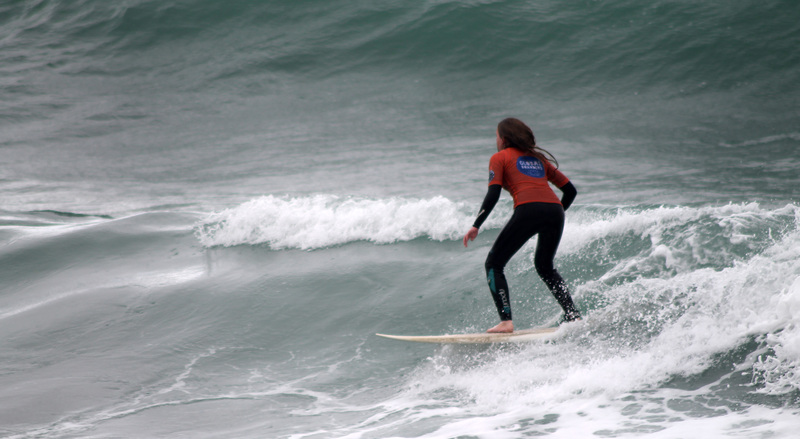 St Ives surfer Charley Fox showed a highly committed approach during the semis and final, making some heavy late drops on her way to a 3rd place finish. Matt Burrell dropping his wallet during this lovely layback earning him 3rd place in the younger boys final. Harry (right) floating over a heavy high tide Praa Sands section. Cape Cornwall’s highest placed surfer George Carpenter smashing a foamy section and finished an impressive 4th place in the boys final. Contest director Chris Brown and Olly Reeves get ready to judge as the next boys heat enters the water. Huck New smacking a backhand section on his way to 2nd place in his first ever competition! Dev Parsons looks on as year 6 wildcard Thomas Reeves tags the lip on a perfect Praa end section. Dev was eventually eliminated in the semi finals with Thomas finishing 4th in the younger boys final. 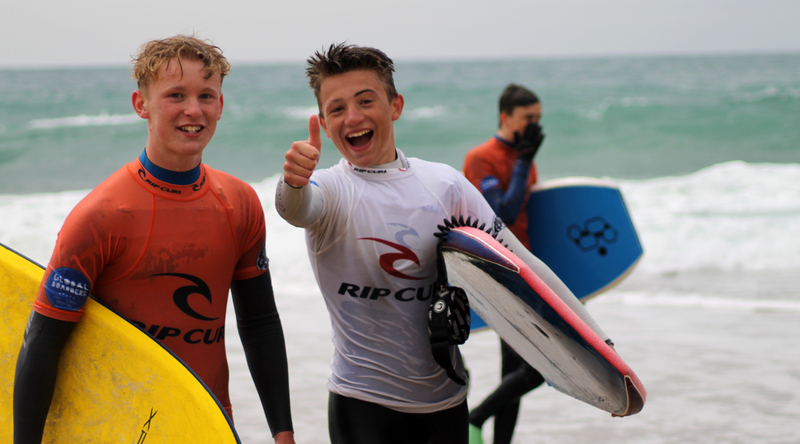 Here’s Archie Pilcher and Taylor Bairds finding the lip at Praa Sands, both surfers reached the semi finals for their schools Mounts Bay and St Ives. It’s a big thumbs up from the bodyboards as the waves became heavy on the high tide bank giving them the perfect opportunity to drop some 360 spinners and barrel rolls. Cape Cornwall surfer Pat Bradley who was eliminated in the first round in 2014 managed to make it all the way to the semi finals this year! Semi Final 1 in the boys division was stacked with big names, here’s Tintin Klamar (Humphry Davy) and Harry de Roth giving a masterclass to the onlooking crowds, Tintin was eventually eliminated in the Semi’s this year after a interference call. 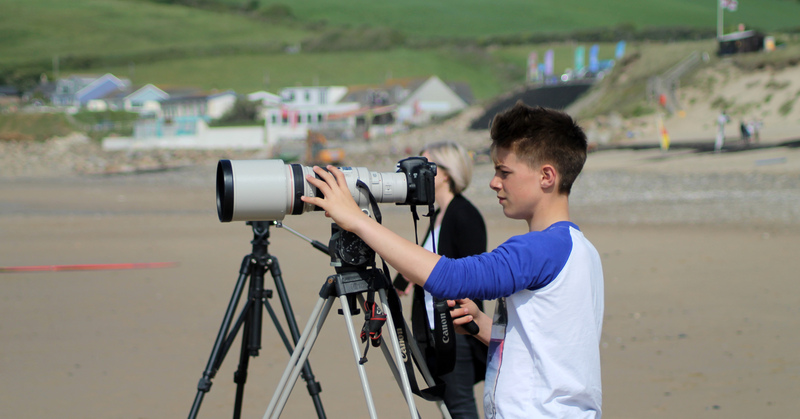 Toby Pearce from Mounts Bay was a stand out during the entire event, here’s a stylish layback that earn him 3rd place in the boys final. The crowd watch on as Leo and George share a ‘shaka’ before the last year of the competition, boys final where Leo eventually finished 2nd and George 4th.